Grew up with BC Rytas Vilnius (Lithuania) juniors. Signed for the 2013-14 season by Vilniaus KM-Krantechna, VMKS. Signed for the 2014-15 season by BC Zalgiris Kaunas 2nd team, NKL, also played with Zalgiris juniors. In April'17 signed by Vytautas Prienu. Signed for the 2017-18 season by BC Siauliai. 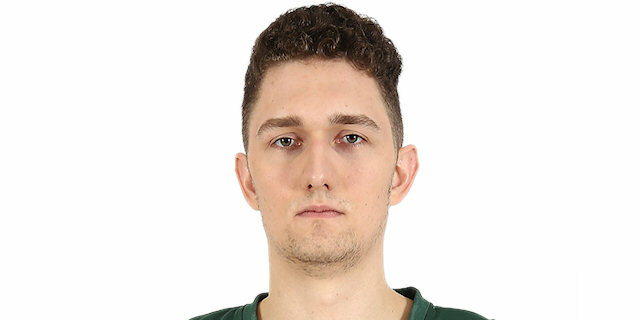 Signed for the 2018-19 season by BC Zalgiris Kaunas. Played at the 2014 European U-18 Championship. Led the 2017-18 Lithuanian League in rebounding (7.2 rpg.) and blocking shots (1.3 bpg. ).